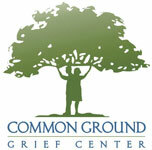 Lynn M. Snyder, LPC, ATR-BC, FT is the Founder/Director of Common Ground Grief Center in Manasquan, New Jersey. She manages the daily operations of Common Ground as well as facilitates the teen support groups, supervises staff and trains new volunteers. Lynn works with the Board of Trustees in the development and strategic planning of the organization. 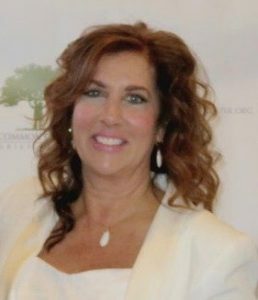 Lynn is a Licensed Professional Counselor, Registered, Board Certified Art Therapist and Fellow in Thanatology; the study of death, dying and bereavement. She also serves as adjunct faculty at Monmouth University. Lynn completed additional training in bereavement at Mt. Ida College National Center for Death Education as well as training at The Dougy Center for Grieving Children and Families in Portland, Oregon. 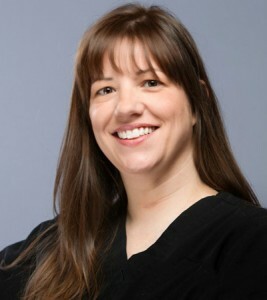 She is a member of the National Alliance for Grieving Children and The Association for Death Education and Counseling. She attends conferences of both organizations to assure that she is kept current on “best practice” in the field of childhood bereavement. Ms. Snyder is also a 2014 Women of Achievement Award recipient sponsored by the State Federation of Women’s Clubs and Douglas Residential College. Cindy joined the Common Ground Grief Center in 2014. As a previous small business owner, Cindy brings forth years of administrative experience. She is responsible for helping to manage the day-to-day operations of Common Ground. Cindy is also a Certified Paraoptometric, working for many years at Emerald Eyes. Cindy is a full time wife and mother.